It is essential to have a healthy balance of carbohydrate, protein and fat even in managing body weight. ActivMax Weight Control comprises of a unique mixture of garcinia and green tea extract, low-glycemic carbohydrate, long-acting protein, and healthy fat. 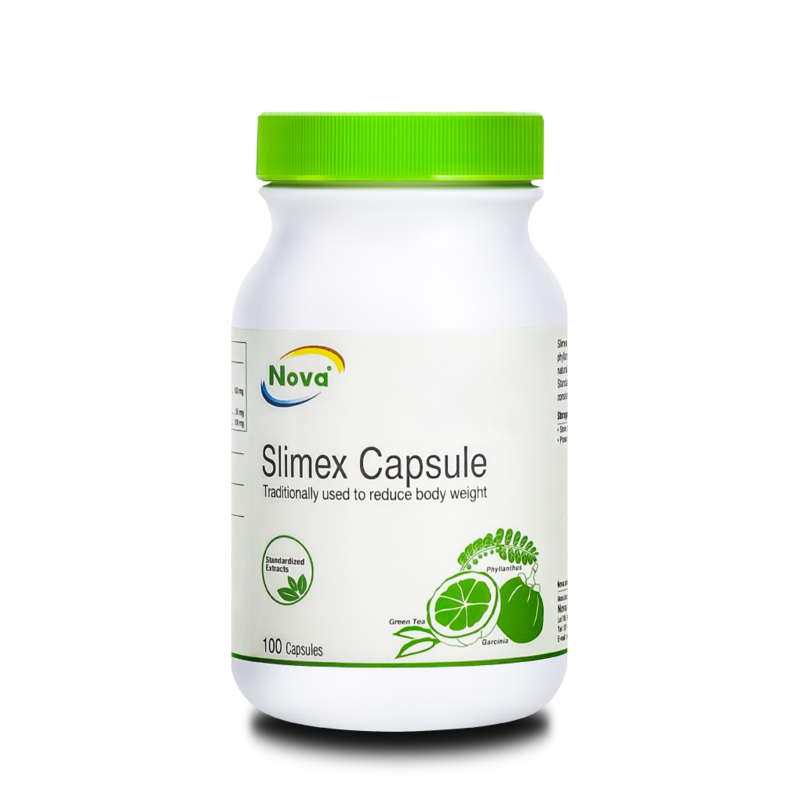 This unique combination is specially formulated to enhance fat burning and helps in managing weight healthily. One serving of ActivMax Weight Control provides 28 vitamins and minerals, which gives about 20% of the recommended daily intake. This corrects the nutritional imbalance that is commonly faced by those who practice weight control with a wrong approach. The delivery of essential vitamins and also minerals needed by the body to perform the daily tasks. Phytonutrients of garcinia cambogia, green tea extract and alpha lipoic acid are known to assist in higher efficiency of glucose metabolism, reducing appetite, and promote fat burning in the body, that result in an effective weight control. Sunflower oil (high oleic acid), corn starch (high in amylose), fructose, instant malt cereal extract, isolated soy protein, calcium casein, isomaltulose, whole wheat, gum arabic, polydextrose, maltodextrin, microcrystalline cellulose, lecithin, malt extract, sugar, rice flour, mineral(tricalcium phosphate, calcium carbonate, magnesium oxide, sodium chloride, zinc oxide, ferrous fumarate, manganese sulphate monohydrate, copper sulphate pentahydrate, sodium molybdate dihydrate, potassium iodide, chromium picolinate, sodium selenite, vitamin(choline chloride, vitamin C, niacin, calcium d-pantothenate, vitamin E (D-alpha tocopherol), beta-carotene, vitamin B6 (pyridoxine hydrochloride), vitamin B2 (riboflavin sodium phosphate), vitamin B1 (thiamine hydrochloride), vitamin A palmitate, vitamin D3 (cholecalciferol), folic acid, biotin, vitamin K1 (phylloquinone), vitamin B12 (cyanocobalamin), leucine, glutamine, isoleucine, valine, green tea extract (40% EGCG), garcinia extract (50% HCA), potassium hydrogen phosphate, carnitine, taurine, inositol, alpha lipoic acid, dan permitted flavouring agent (vanilla powder). Add 45g (2 scoops) of ActivMax Weight Control to a glass of warm water (200ml), stir vigorously until the powder is completely mixed. Drink while it is fresh. 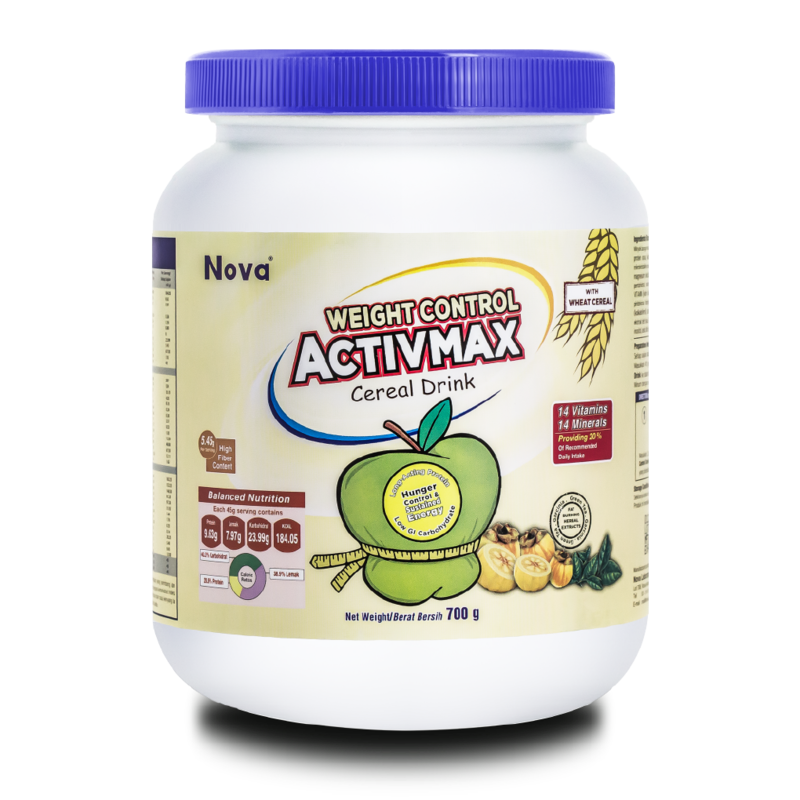 ActivMax Weight Control can be taken at any time of the day as meal replacement for men and women above 12 years old.